This week I headed up the M1 and beyond to where I was brought up....in Glasgow. 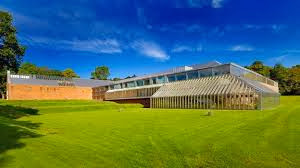 During my stay I always visit the Burrell Collection which as a building was awarded A-listed status by Historic Scotland in February 2013 in recognition of its position as one of the country’s finest examples of 1970s architectural design. This building houses just a small part of the eclectic collection which was acquired over many years by Sir William Burrell, a wealthy Glaswegian shipping magnate and art collector, who then gave it to the city of Glasgow Corporation in 1944. The trustees spent over 20 years trying to find a suitable 'home' for the collection, one which met all the criteria set out in the Trust Deed, without success. Eventually, when the Pollok Estate was gifted to the city in 1967, the Trustees had certain terms of the deed waived, which allowed the current site to be used. 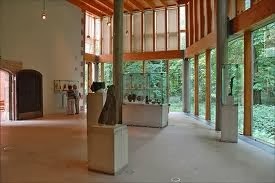 A design competition for the museum building in 1971 was won by the architect Barry Gasson. 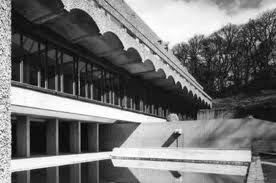 The museum was opened in 1983, and was named as Scotland's second greatest post-war building after Gillespie, Kidd & Coia's St Peter's Seminary. 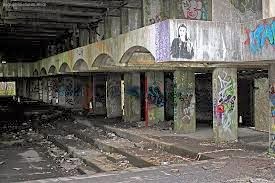 I had a fantastic adventure visiting this now sadly derelict Seminary in Cardross last year with Ben. It is a tricky place to find but once you do it is definitely worth it.